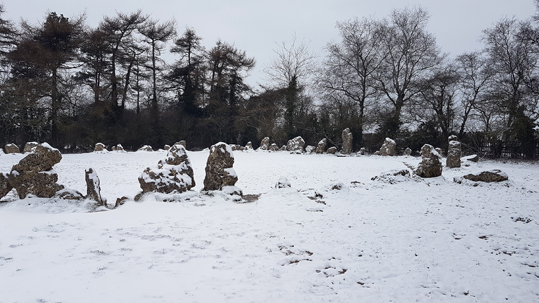 This atmospheric photo of the Rollright Stones in the snow was taken by a friend yesterday. I know that many pagans had been intending to celebrate the Spring Equinox over the weekend, but were unable to get to their usual sacred site due to unseasonable weather. It looks as though the Rollrights were still accessible, even if the scene was more appropriate for Yule than Ostara. It is a lovely picture though. The photo is copyright the photographer, who chose not to be attributed on this post.